For the past 6 months the managing partner of AVentures Capital, Yevgen Sysoyev studied 500 Ukrainian IT-companies and held more than 200 meetings. The results of his work are presented in the research below. A lot of reports were published about the Ukrainian outsourcing companies including the one called “Exploring Ukraine: IT outsourcing report 2012”. However, very few reports came out about the product IT-companies from Ukraine. This article fills that gap. Only product-type companies, in my opinion, can trigger the future exponential growth of the IT-sector in Ukraine. A few Internet startups in local e-commerce space lately received good publicity in our country, including Rozetka.ua, ModnaKasta (designer shopping club) and United Online Ventures, a leading local online media holding. But today Ukraine has already many IT-companies the capitalization of which is significantly higher than, for instance, the total value of all assets of United Online Ventures. These projects, however, are oriented on global markets where they already enjoyed some success. I estimate the capitalization of all product companies in Ukraine to be from $1bn to $1.5bn. Assuming that I am not familiar with all the companies, this number is even higher. In the future, the value of such startups as online media and e-commerce aimed at the Ukrainian market will grow rapidly but their capitalization will be significantly lower in comparison with the capitalization of successful Ukrainian IT startups that aim at global markets. Those entrepreneurs who create niche leaders in global markets will make the most money. Consumer internet services, including portals and online media. E-commerce (physical goods and services e.g. online bookings). Some tend to believe e-commerce to be a low-tech business – more of an offline than online. The reason is the low level of infrastructure development (logistics, payments) and thus the players in e-commerce in CIS have to invest not only into IT, CRM, and internet marketing, but also into warehouses, working capital, cars and many other things. However, we still keep this segment in the e-commerce category. At the very least, it is an innovative business and there are many venture capital funds that invest mostly in e-commerce services (e.g. Mangrove and e.Ventures). Software, including “cloud” technologies, enterprise and consumer and excluding mobile and IT-integration. Gaming, including client, browser, mobile-based and social. Others that do not belong to the above mentioned categories. We include only those companies into this research where at least one founder is Ukrainian and a big part of the employee pool is located in Ukraine. We exclude the companies, which Ukrainians exited – e.g. Viewdle, sold Google, or GSC Game World, a gaming project that was closed. 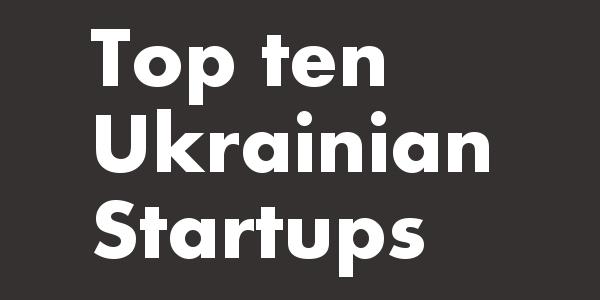 So who are the most successful internet and software entrepreneurs in Ukraine? What are the largest Ukrainian product companies? The capitalization of most companies in this research exceeds $5mm and some startups are valued at $50-$100mm and higher. It is a known fact that a big part of the world tech business is concentrated in the USA. Ukrainian product companies developing software aim primarily at that market. The creation of the global product company in software demands not only top-notch developers but also a strong executive team. 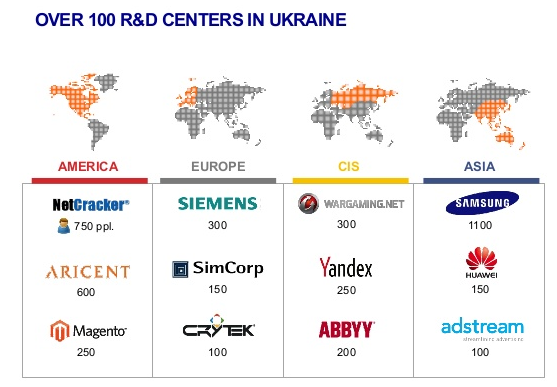 Since the latter is easier to create in Kiev, the capital holds onto first place in the number of product companies. 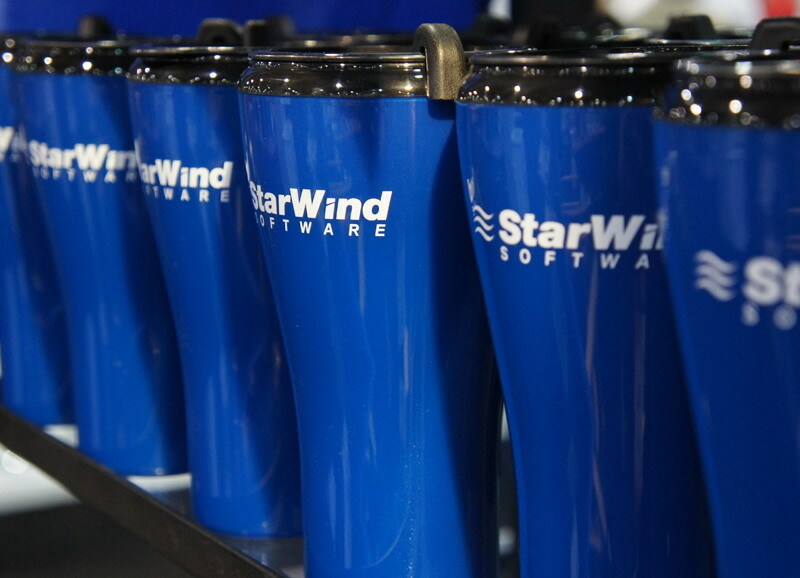 Among them are such companies as Terrasoft, InvisibleCRM and Starwind Software, the tech world leaders in their niches. Often these companies have a second office in the US and a part of the executive team, involved in marketing and sales, is American. 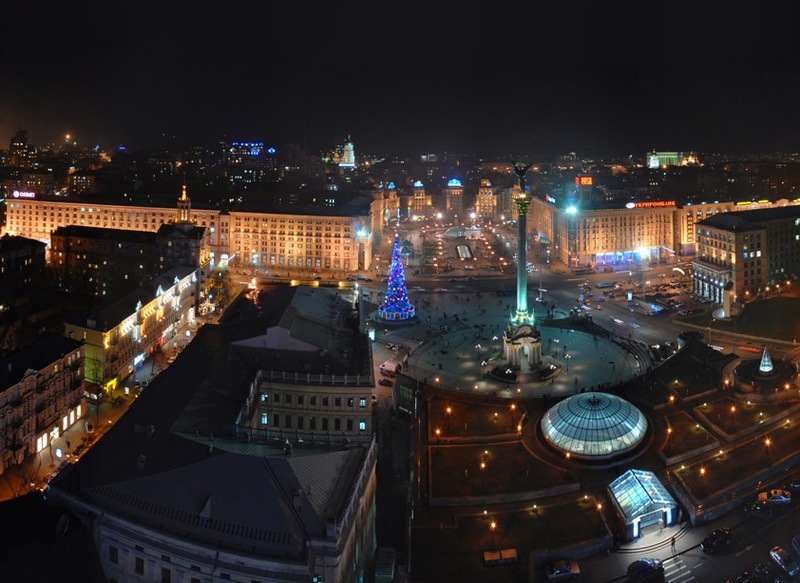 Kiev is also the cradle of e-commerce of the country. It is not surprising, since up until recently more than 50% of all sales fell on Kiev and Kiev region. The absolute majority of top 15 e-commerce projects are based in Kiev: all.biz, prom.ua, rozetka.ua, bt.kiev.ua, ModnaKasta, sokol.ua, fotos.ua, deshevshe.net, LeBoutique and others. The largest logistics companies are also based in Kiev, serving the e-commerce space – “Novaya Pochta, Postman, and “Mister Express”. In recent years, other regions of Ukraine have been developing faster and new regional leaders emerged there in e-commerce space (with the focus on electronics): Mobiluck in Kharkov, Fotomag in Dnepropetrovsk. The majority of the employees are still located there today. The CIS headquarters of Allegro Group, a part of the global holding company “Naspers”, is located in Dnepropetrovsk. The management of Allegro Group is also located here working on such startups as Aukro, Slando, Emarket, Vcene. This holding company is also a major shareholder of other successful startups such as ModnaKasta and Prom.ua. According to the head of Allegro Group in Ukraine, Yuliya Marishchuk, their companies already employ more than a thousand people. We include this holding company and the companies emerged from it into our research because a number of these companies up until now have Ukrainian co-owners. Cupid, a popular online dating network with tens of millions of users also had Ukrainian co-founders. It is the only IT starup with Ukrainian roots that had an IPO. Their big office with more than a hundred employees is still based in Dnepropetrovsk. 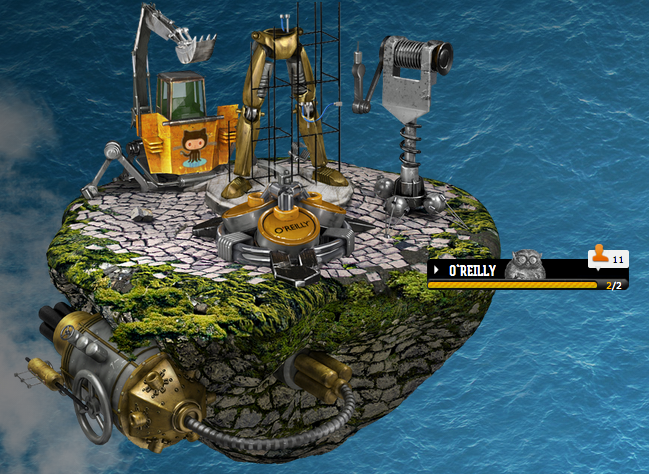 In neighboring Zaporozhye, a small studio WarSpark created a game Seige Hero, “a Ukrainian response to Angry Birds”. The startup generated more than 10mm downloads to mobile devices and 100,000 reviews in AppStore. Not obvious: PrivatBank positions itself in informal circles as one of the largest IT-companies in Ukraine. And they are right – they have one of the country’s best online banking, a variety of payments systems and services, online bookings, a developed CRM-system and online customer acquisition tools – Sort of a “Ukrainian Tinkoff Bank“. Recently PrivatBank launched the application to manage music in cafes and restaurants. Obviously, it is not a typical story for a bank. This year I have been to ten cities, where I stayed for 1-2 days looking for promising IT startups. Lvov broke all the records for my meetings with entrepreneurs. In two days I held 14 meetings and I also spoke with a number of entrepreneurs over the phone. Outsourcing company SoftServe has more than a thousand developers in Lvov. Eleks has more than 500. There is more than enough of tech talent. In the last few years a breakthrough took place in the minds of the local developers and many of them went to build startups. But quantity still beats quality and success in the world arena was limited. But I am sure that will change in the nearest future. Western and Central Ukraine, including Lvov, Rovno, Vinnitsa, is the motherland of the most successful IT entrepreneurs in gaming and mobile devices. A number of gaming startups were created and then successfully sold by Taras Tarasov from Rovno and Aleksey Usach from Vinnitsa. In 2011 Maksim Gryniv from Lvov rocked the whole world when he made “the game of the year for iPad”. Nravo (under brands time2play, meni.mobi) took a significant share in global market of mobile browser games. By the number of IT companies (mainly outsourcing), Vinnitsa keeps the second after Lvov place. The headquarters of a media corporation RIA are located here as well. Their startups including ria.ua (above mentioned Allegro is one of the investors), hotels24, and 20minut employ over 200 people. Zhitomir still serves as a base for the team of Jelastic, which has been recognized as one of the world’s tech leaders in Java applications. Over the past year, the company has attracted funding from leading Russian VC funds Almaz Capital and Runa Capital. The East: the outsourcing pipe, lull before the storm? If Russia “pumps money from the pipe” by selling gas to the West, Kharkov’s “pipe” is the army of young developers, former students from local schools now working at outsourcing companies. Almost all of the largest outsourcing companies in CIS have big offices here and franchises. The army of outsourcing developers in Kharkov is growing faster that in the capital. Many western software companies have their development centers in Kharkov. It is not outsourcing anymore, but you cannot call it a product-type business either. The main disadvantage for Ukraine is that the management of these companies resides outside of Ukraine and only development-type product tasks fall on Kharkov. But under this model, the developers do not get any experience in building products and managing them nor the experience of scaling them (sales, marketing). However, that experience is very important for the creation of own product startups. But there are a number of examples where entrepreneurs would transfer from outsourcing to product companies. Thus, Vlad Voskresenskiy used to work in the outsourcing business and when he left it, he created a successful company InvisibleCRM that developed a CRM integration service. Hence, in the next 5-10 years we can potentially expect a significant number of product companies created by developers-entrepreneurs from Kharkov. In Odessa, there are quite a few product companies that created globally successful products and the whole school of product managers, including Computer Systems Odessa founded in the beginning of 90’s and Shape Services, founded in the early 2000s. When a newly trained product specialist hit career ceiling in their professional development in those companies, they left to create their own projects. Odessa also has a “Summer School CSO”, where 5 to 15 people study and get training every year. We know about a few dozens of product companies founded by the “former employees” of the mentioned product businesses. One of the most successful “spin offs” of Computer Systems Odessa is Readdle, an iOS app developer. In the past few years, the company consistently ranks first in the world and the U.S. in a business applications niche for iOS. Their business is originally global and thus it is not surprising that I got to know Readdle representative not in Ukraine but in the US during TechCrunch San Francisco 2011, where he and I were the only Ukrainians at the conference. A successful Shape Services’ spin offs is a company Ar23d that developed a breakthrough technology associated with “augmented reality”. The developers from Odessa and Nikolayev created on of the most powerful algorithms for 3D-objects visualization on mobile devices with reference to the real world environment. Their game Bugs Mayhem with the elements of “augmented reality” took the 3rd honorable place in the world. With the growing popularity of a new generation devices – Google Glass, for instance – their technology will get a new revolution spread on a variety of consumer devices. 47% of companies for now have 20-50 employees. It should be noted that most of these startups are growing rapidly. In the neighboring Russia the venture ecosystem started taking shape 15 years ago and at the end of the 90’s came the first wave of venture fund creation. For example, at that time emerged ru-Net, that invested in Yandex and Ozon at the seed stage. A few more waves followed in the beginning of 2000’s, mid 2000’s and after 2008. According to some experts, today in Russia there are already 60 active funds. In my opinion, in this respect Ukraine is behind Russia by at least 10 years and the first more or less systematic players started to appear only in 2011-2012 This may sound strange and logically inexplicable but there is not a single fund in the world that invested in at least in 2-3 Ukrainian startups per year at the early stage (excluding seed). In recent years, a few incubators emerged in Ukraine investing in the seed stage as well as TA Ventures fund that invests mostly in the USA and Europe and develops its own e-commerce startups in Ukraine. Also, Russian funds entered Ukrainian market and financed 1-2 deals in Ukraine: ABRT, Intel, Runa, Almaz. Up until now in Ukraine there is at least 100 times less investment volume in IT-sector than in Russia. It is not surprising that 33% out of 54 companies in this research are the classic bootstrapped startups built on small initial investments of the founders that would later reinvest received operational profit. Since there were always very few investors in our country financing IT projects, any startup had two choices – to break even/become profitable quickly or die fast. 32% of the companies first attracted investments from hundreds of thousands to a million of dollars and after that were growing using their own resources. On the one hand, it is an advantage, because it motivates entrepreneurs to quickly find profitable ways of developing their companies, producing only highly demanded products with a fast monetization opportunity. Thus, 61% of these companies are operationally profitable businesses – which is a very high for early stage tech companies. On the other hand, capital-intensive IT segments in Ukraine, in contrast to Russia, weren’t very successful on the world stage. So if the venture capital market in Russia is already overheated, Ukraine is an unplowed field for investments in the IT sector and more and more investors begin putting money into it. Finally, I estimate all these startups to be valued at $1bn. 8% of them have a valuation of $50-100mm and higher. This valuation is based not on current profits or operating profit but rather on such achievements as the number of clients, traffic volume, scale projections and expected future revenue. Must note that the valuation of the companies in this research was rather conservative (e.g. a significant discount was applied to e-commerce space due to lack of transparency). Given the fact that many of the most promising projects continue rapid growth, the valuation of these projects will easily reach $2-3bn in the next 2-3 years and $5bn in the next 5-7 years. In other words, in the medium term the capitalization of all product companies of Ukrainian origin will surpass the capitalization of all outsourcing companies in Ukraine. Is it a lot or is it little? “A lot” – would say those who often ask me: “Are there any investment opportunities in IT and internet sector in Ukraine?” I, however, would say it is little if we compare to Russia where there are many projects with capitalization of $1bn and more. And it is very little if you look at the long-term horizon for Ukraine with IT-sector being one of the main engines of the future growth of our country. I keep hoping and believing. The original article appeared in Forbes Ukraine in Russian on the 2nd of April 2013. Yevgen Sysoyev is the managing partner of Ukrainian VC firm AVentures Capital.